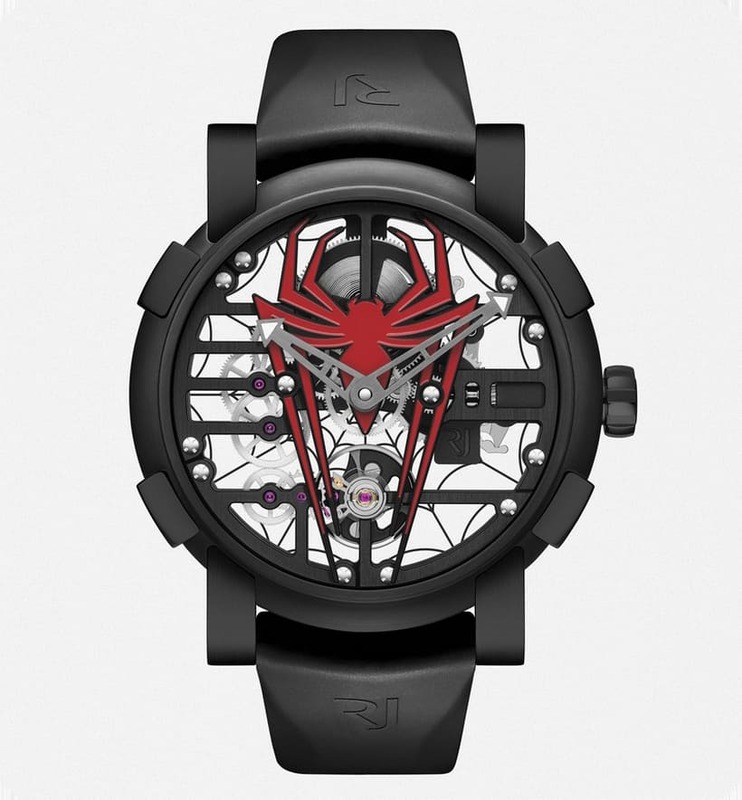 Remember how you coveted a cool Spider-Man watch when you were young? 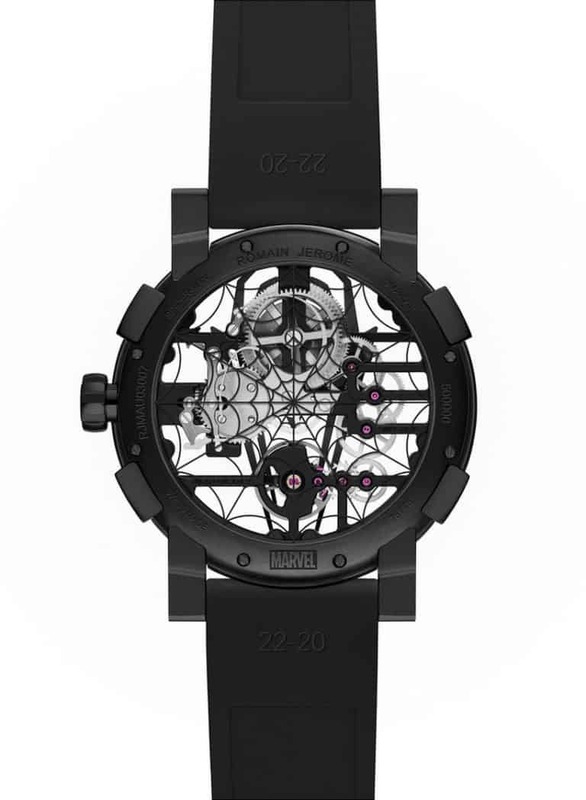 Yeah…this isn’t that watch. 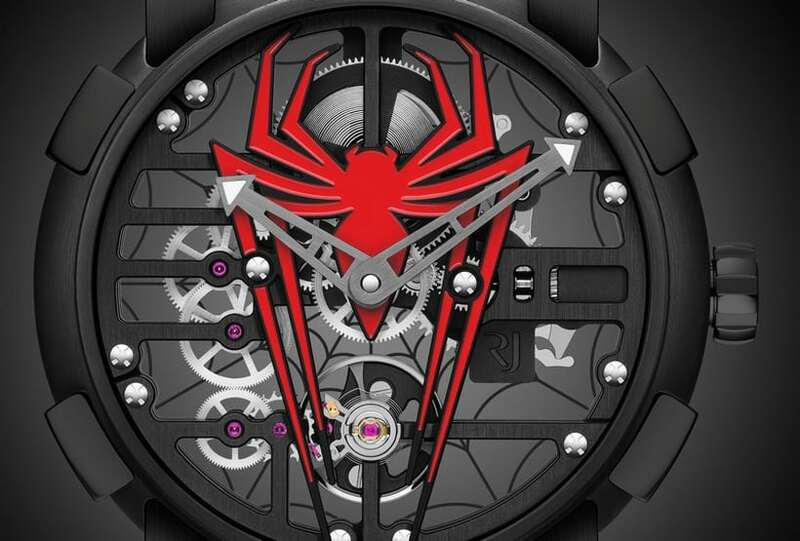 Sure, it’s a wristwatch, and its design pays homage to Marvel’s friendly neighborhood web-slinger, but that’s where the similarities end. 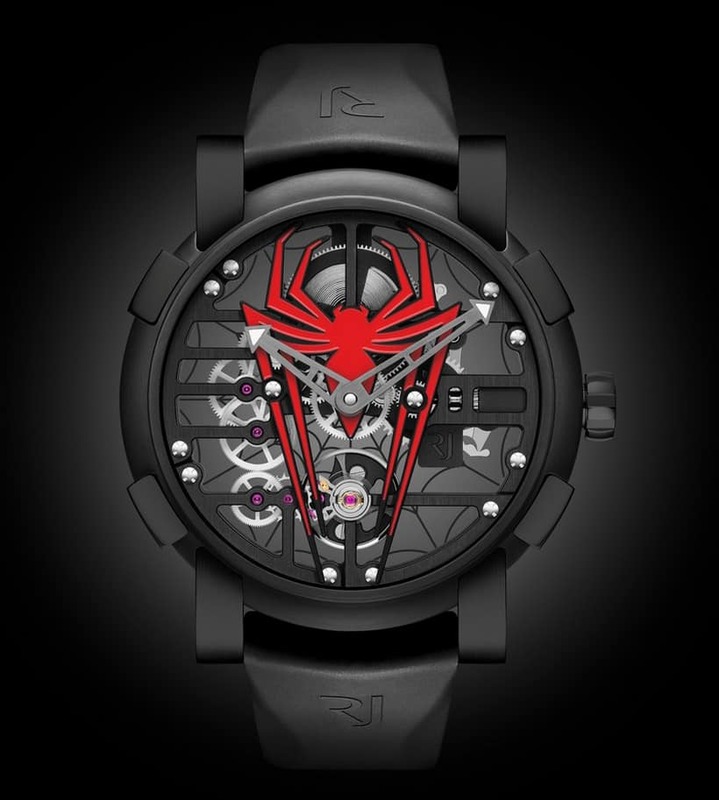 Designed and manufactured by RJ-Romain Jerome, this 48mm skeletonized stunner incorporates Spidey’s logo on the dial, while the back features a spider web metalized on the sapphire crystal caseback. All in all, a dynamic and portable piece of kinetic sculpture for kids of all ages…provided they’re quick on the draw (Only 75 copies will be made.) and thick-of-wallet (A retail price of $19,500. ).